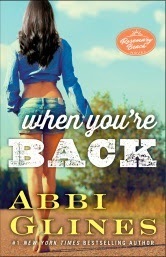 ABBI GLINES DOUBLE COVER REVEAL AND AN EXCLUSIVE EXCERPT AT POPSUGAR! 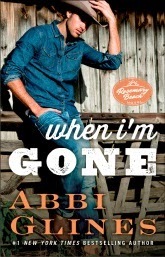 WHEN I’M GONE (on sale April 7, 2015) follows the burgeoning romance between Reese Ellis and Mase Colt-Manning. Reese is a vivacious, beautiful young woman with a past damaged by the abuse of her mother and stepfather. She escapes to Rosemary Beach to start a life of her own, cleaning houses for the town's elite. Mase, on the other hand, is a born-and-raised Texan striving to live a humble life as a rancher, despite his father being a famous rock star. When he comes to visit his family in Rosemary Beach, the two cross paths. The second book in the series, WHEN YOU’RE BACK (on sale June 30th), also follows these two lovers, but things get tense when Mase’s family friend comes to town with an agenda that doesn’t make life easy for Mase and Reese’s burgeoning love. From #1 New York Times bestselling author Abbi Glines comes a steamy new adult novel in the Rosemary Beach series, in which we meet Mase, a Texas heartthrob (first introduced in Take a Chance) who comes to Rosemary Beach to stir things up. Reese Ellis finally has her freedom. After escaping a lifetime of abuse from her parents and classmates for an undiagnosed learning disorder, she seizes the opportunity to be a house maid to some of the richest families in Rosemary Beach. But her job is in jeopardy when she causes an accident at the home of her most important client, Nan Dillon. When a hot, half-naked stranger with a cowboy’s swagger comes to her rescue, she’s intrigued—then afraid once he shows his own interest. Reese has never met a trustworthy man in her life. Will Mase be any different? RIPPED by Katy Evans ~ EXCERPT REVEAL !!!! !